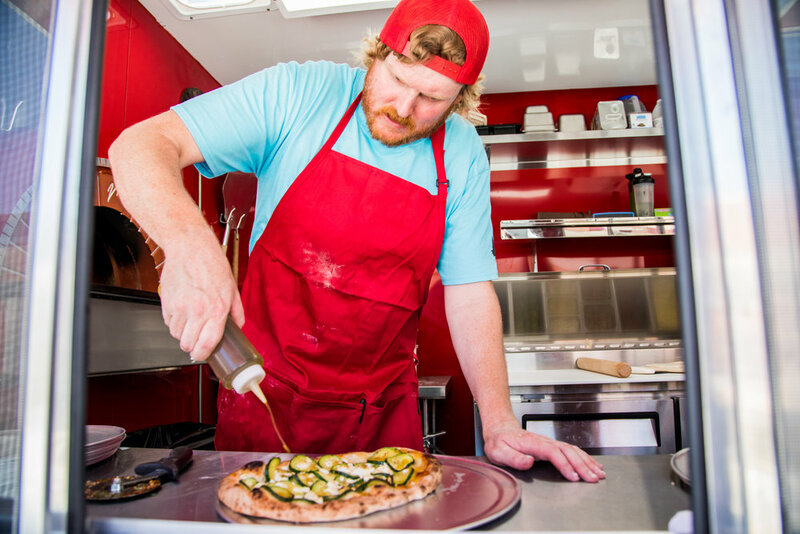 Mobile wood fired pizza trailer hitting the streets of WY and beyond by Chef Josh Barhaug. Blackbird is the latest passion for the Barhaug family. Josh and Jess were born and raised in Wyoming, Josh in Sheridan and Jess in Casper. Upon graduation, Josh went into the US Army where he served in Korea and a tour in Iraq. After being honorably discharged, he enrolled in The Art Institute of Colorado for Culinary School. Jess attended Colorado School of Mines on a basketball scholarship. They met down in Denver while Jess was obtaining her masters degree from Colorado School of Mines in Petroleum Engineering and Josh was at The Art Institute. Josh helped open and worked for several great restaurants in Denver and also obtained a bachelors from Metro State in Hospitality Management before opening up his own restaurant with his wife, Jess. While working as a petroleum engineer, Jess also became a certified sommelier to elevate the wine program. 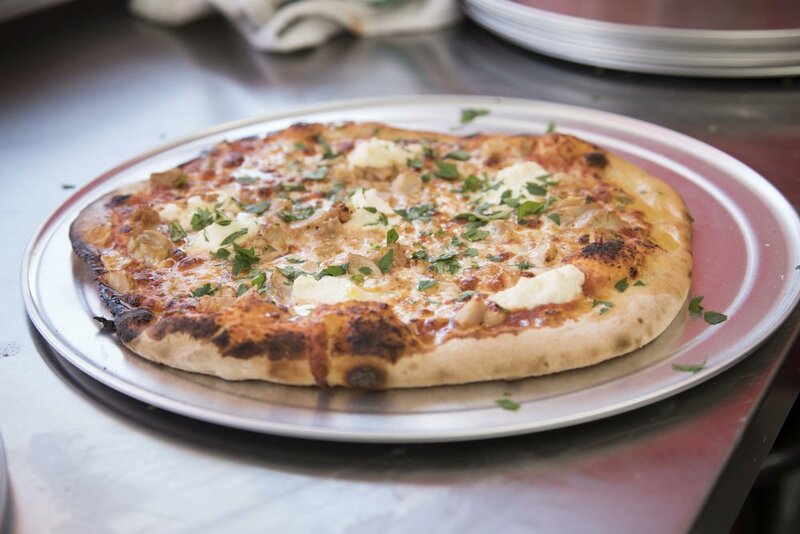 Together they opened and ran Fired Up and Gallo di Nero both specializing in wood fired cuisine. Jess and Josh have both spent significant time traveling and researching their passion, food and wine. After having two children, Evelyn (3) and Charlie (1), Josh and Jess decided that they wanted to raise their family back in Wyoming. They sold the restaurant and their Denver home and moved to Casper. Jess took a job with the Enhanced Oil Recovery Institute with the University of Wyoming and Josh helped open and worked at Grant St Grocery and Market. Josh, although happy at Grant St, decided he wanted to open a wood fired food truck. Blackbird is the culmination of our previous restaurants and constant research in the wood fired cooking genre. The name arises from the outcast nature of the blackbird and from Evelyn singing the Beatles song to put her babies to bed. 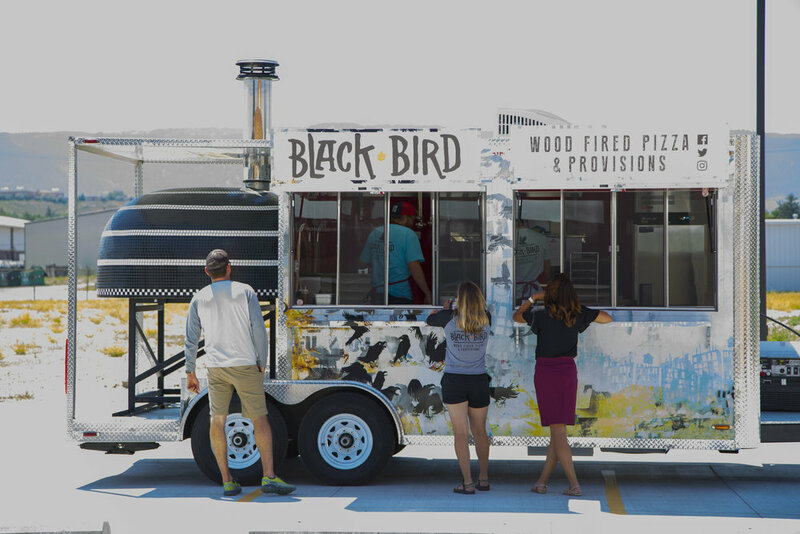 The Barhaugs are bringing premium wood fired cuisine to the Casper area and beyond. Please reach out with any events and catering requests. See you on the road!